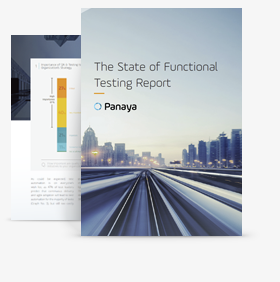 To gauge the impact of digital transformation and enterprise agility on QA and testing practices, Panaya commissioned Spiceworks to survey the testing practices of IT leaders in over 150 leading global enterprise organizations. Testers were asked how testing complexities are handled within their organizations and how this, in turn impacts business. Read the report to gain real insight into the practices of global QA teams. Benefit from trends identified and practical recommendations on how to leverage those trends to your advantage.